using “state of art” procedures and models based on 20 years of experience. to provide ready-to-use maps explorable via PCs, tablets and smartphones. Realizzazione WebGIS. Corso di formazione Qgis. We are the first Spin off of the University of Naples Federico II born in 2006 on the initiative of a group of researchers from the Department of Agriculture. Our team comprises researchers, agronomists, engineers and software developers specializing in remote sensing and geographic information systems. For over 10 years we have been working with the Reclamation and Irrigation Consortia, companies and research groups to develop operational solutions for irrigation management, exploitation of agro-forestry resources and plants. 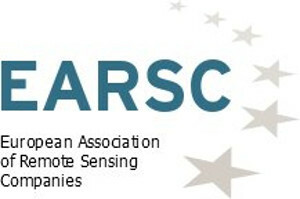 The European Telecommunications Association (EARSC) is a professional industrial body (trade association) with the mission of promoting the growth of the Earth observation services sector (EO).